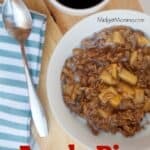 If you are looking for an amazing homemade oatmeal, this apple pie oatmeal is amazing! 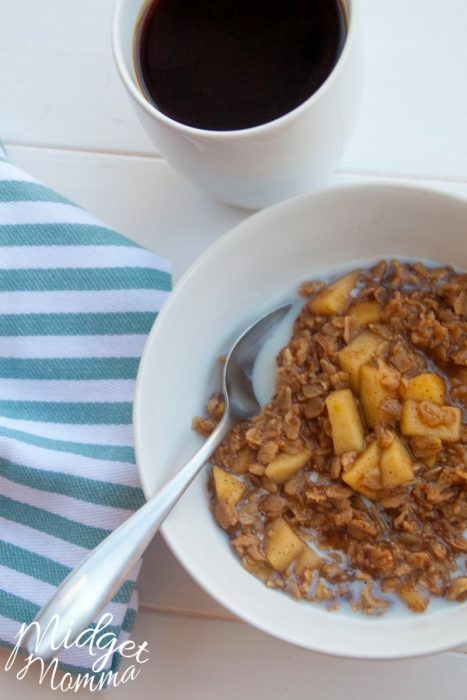 This oatmeal has the amazing flavors of apples and cinnamon. This old fashion oatmeal recipe is one of our favorite breakfast recipes. I live in the south and we don’t have anything that resembles fall and since I am from the north I need to have all 4 seasons. Since I can not have all 4 seasons with the weather, I use food to give me them. When it comes to fall I just can’t help but to think of crisp apples and apple picking. The combination of apples in oatmeal along with cinnamon gives me that amazing taste of fall. 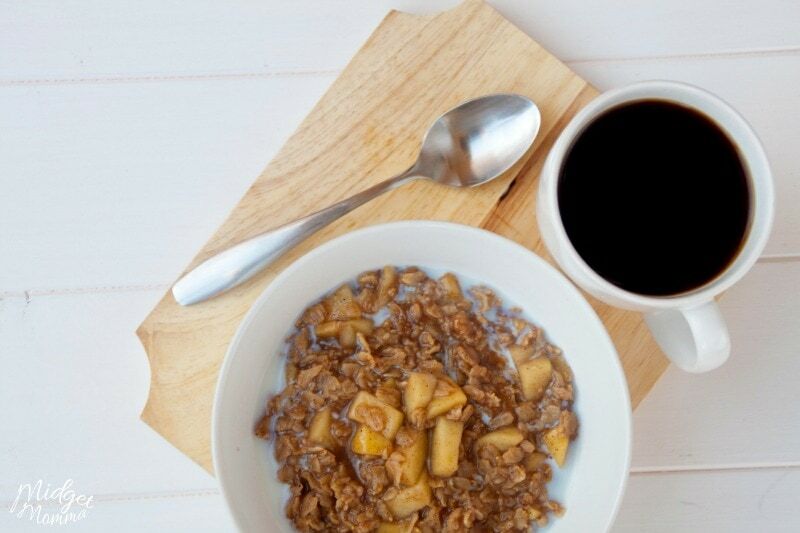 It was fun taste testing and dreaming of fall while I came up with this Apple Pie Oatmeal recipe. For this homemade apple oatmeal recipe I used one gala apple for sweetness and one granny smith apple for tartness. If you do not have them on hand but still want to make this oatmeal recipe for breakfast, then you can use any apples that you have on hand. 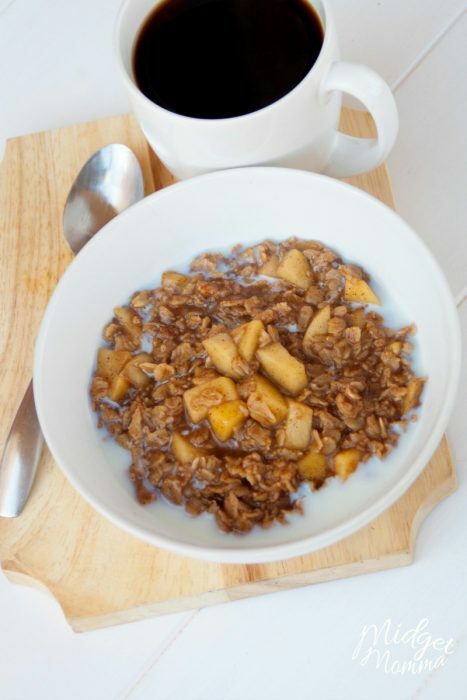 However when making this oatmeal recipe, stick with the firmer apples so they do not turn into mush. If you like your homemade oatmeal to be creamer than you can switch out half of the water for milk but keep an eye that it doesn’t boil over. You can adjust this recipe to use quick cooking oats, just reduce your time to 2-3 minutes. I like using old fashion oats for the nutrition found in the whole oats. This homemade oatmeal is so easy to make and a great breakfast recipe. 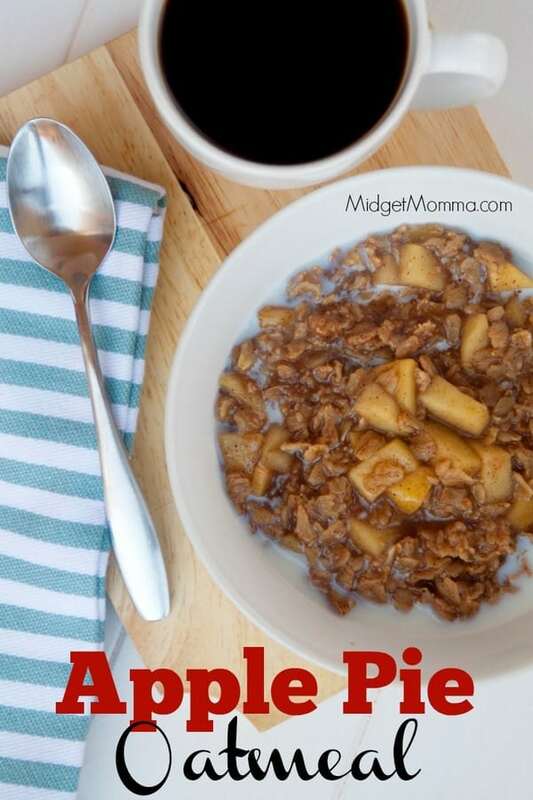 With an amazing apple and cinnamon flavor this Apple Pie oatmeal is sure to be a hit! Combine the apples, water, oats, cinnamon, nutmeg, brown sugar together in a medium saucepan over medium heat. Bring it to a boil then reduce the heat to medium-low heat. Let it cook until almost all the liquid has been absorbed, about 10 minutes. Place your oatmeal into two bowls for a large serving or 4 bowls for a smaller serving and top with a splash of milk. Doing this on the app it comes out to 17 points. Never mind my last comment. I really shouldn’t be doing this so late at night. I figured it out. So sorry.